There are two kinds of perks with this internship: work and non-work. These are very technical titles, so pay close attention to the following descriptions. Work perks are the kind of everyday perks one experiences as a reporter in Washington D.C. These are things like being able to go to the White House. Non-work perks are just about everything else. These include just living in DC and the general proximity to other eastern states. I want to see all 50 states before I turn 30 on July 14, 2015. At the start of this internship I had about four years and 20 states to go. After the East Coast Extravaganza two weekends ago, the magic number is down to 13. The first leg of our trip took though four states I had already seen before. We started in Virginia, where we picked up our rental car, passing through Maryland and Delaware to get to Philadelphia. I wasn’t particularly thrilled to go through Delaware again, but we passed through Wilmington and realized that there is a metropolitan area in the state after all. It turned out access to the Atlantic Ocean isn’t the only good thing about Delaware. 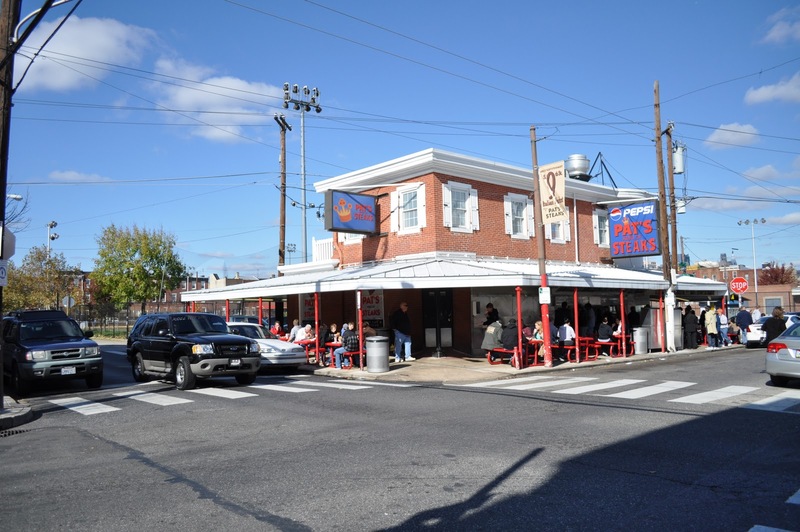 Our first stop came in Philadelphia, where the four of us split between Pat’s and Gino’s to decide for ourselves who has the better Philly cheesesteak sandwich. My vote went to Geno’s because it had less fat on the meat. But the surprising thing was that as detesting as cheese whiz sounds, it was better than provolone. I wonder if Penn Station back home will whip me up a Philly wit’ whiz and wit’out onions? 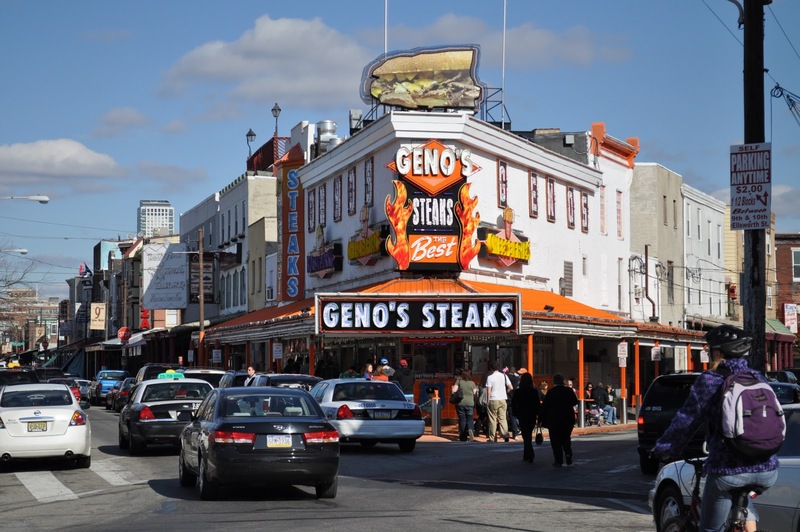 An interesting side note about one of the differences between the two cheesesteak restaurants, Geno’s still calls their fries “freedom fries.” Also, according to a friend of Ray’s (fellow intern/road warrior) who lives in Philly, they will not serve you if you order in Spanish. She tried it once and was denied service. Better steaks, bigger political statements. Danielle’s quest for postcards and mine for magnets led us to the first stock exchange in the country. The main floor had been converted into a tourist haven with miniatures of the liberty bell stuffed in about every corner. Sadly, these miniatures are as close as we got to the real Liberty Bell. With souvenirs in hand, we crossed the bridge, fist pumping our way into Jersey. This entry was posted in Bucket List, East Coast Extravaganza, Epic Road Trips, Pennsylvania, SHFW, Washington D.C. and tagged bucket list, East Coast Extravaganza, Geno's Steaks, Liberty Bell, Pat's Philly Cheesesteaks, Philadelphia, Philly cheesesteak, SHFW by Cassie. Bookmark the permalink.